Alumna Adela de la Torre has been named president of San Diego State University (SDSU). As an undergraduate at UC Berkeley, De la Torre earned a BS in Conservation of Natural Resources in 1976, before completing an MS and PhD in Agricultural and Resource Economics in 1982. 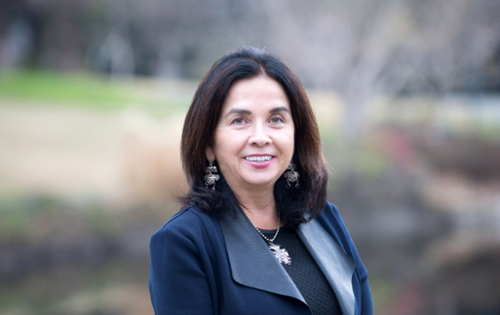 She is the cofounder and former president of the American Society of Hispanic Economists, and currently serves as vice chancellor of student affairs and campus diversity at UC Davis. When De la Torre takes office in June, she will become the first woman to serve as a permanent president of SDSU.